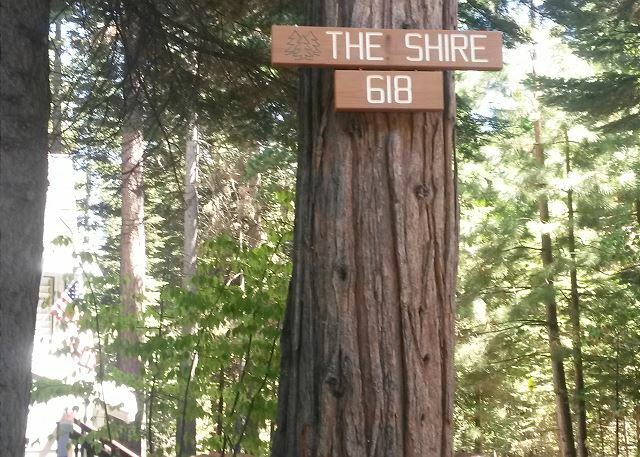 Winter or Summer - The Shire is the perfect place to relax. View from our deck ! The formal living room is a spacious and comfortable place for family meetings, games, or enjoying a cup of coffee or wine while enjoying the serenity of the surrounding forest. 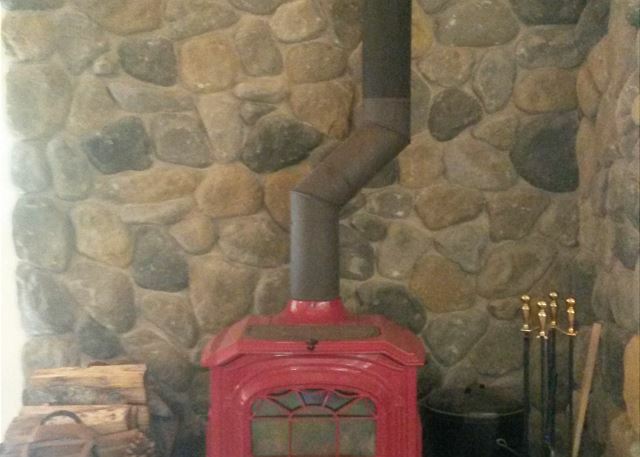 The wood burning stove is located in the formal living room. Firewood is provided for guests. The kitchen is modern, spacious, and well-equipped for those who love to cook! The family room is right off the kitchen. Room to relax and visit right near the kitchen. Enjoy the views from the many windows in this home. New, queen size sofa sleeper located in main living area. Beautiful accents throughout this home. The master bedroom has a queen bed with a sleigh frame, flat screen t.v., vanity, and desk. There is a private master bathroom (not pictured). The master bedroom is a spacious room located on the main level of the cabin. The second bedroom is downstairs and has two twin beds. The third bedroom is also downstairs and has 2 twin beds. 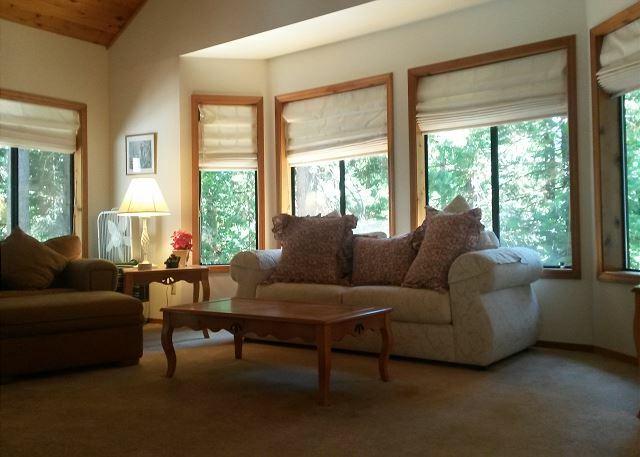 Enjoy a short drive to Lake Alpine from the cabin. Rent a paddle boat or Kayak to enjoy the peacefulness and beauty of this Lake. Then dine at the Lake Alpine Restaurant and bar to finish your day. 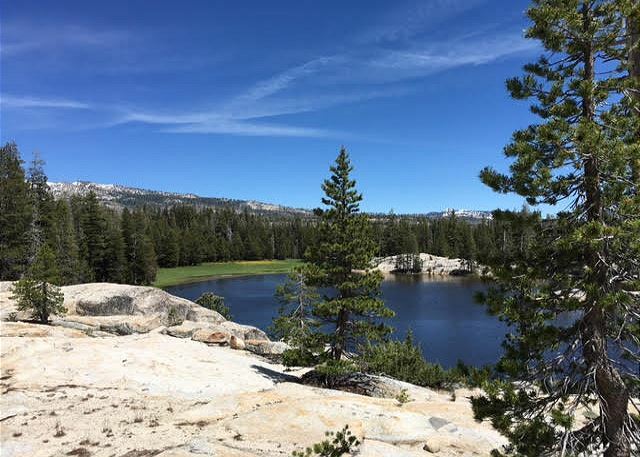 Just a short drive from the cabin to enjoy a hike to Duck Lake. ALL CABINS HAVE A HOUSEKEEPING CHARGE AND COUNTY TAX IN ADDITION TO THE RENT. 3 night minimum during holiday periods. You will truly feel that you've stepped into a fantasy upon entering this breathtaking split-level home after a busy day of enjoying the many activities in the area. 3 Bedrooms, 2.5 baths, sleeps 8. Beautifully appointed, nestled among the trees in a very quiet area of Big Trees Village with beautiful views.DVD, cable, wifi, Blue Ray and X-box, linens provided, wood burning stove, central heat, fully equipped kitchen, propane BBQ. Relax on a beautiful private deck, or enjoy nothing but trees from every window. The master bedroom is on the main floor and offers a queen bed with a sleigh frame and a private master bathroom with two sinks and a double shower combo. There is a half bathroom next to the master bedroom on the main level. 5 steps lead you up to the large, comfortable living room surrounded by bay windows. Queen sleeper sofa located in the main living area. There is a flat screen tv with a Blue-Ray player, Xbox, stereo, and cd player in the adjacent family room. 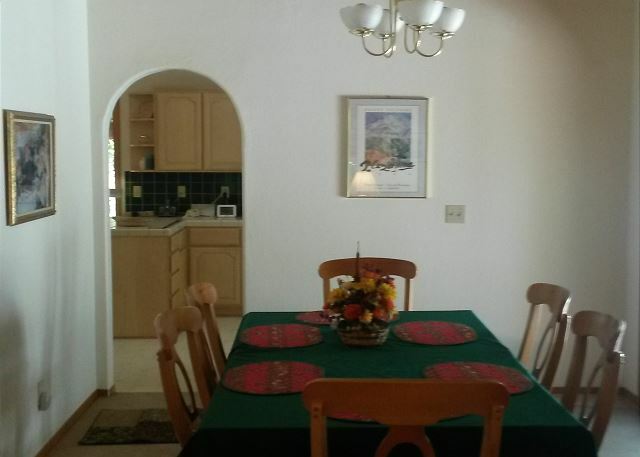 The large, well-appointed kitchen and dining room are also found on this level. 8 steps lead down from the main level to the ground floor, where two more bedrooms and one more bathroom with a tub/shower combo are located. The second and third bedrooms have two twins each. Easy winter access with parking. 15 minutes to Arnold. 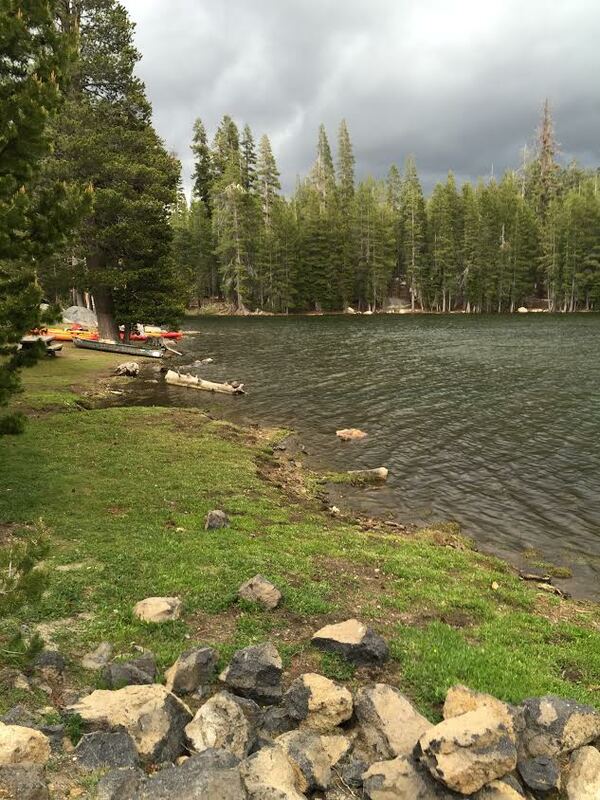 Short hop to the Stanislaus River and 20-40 minutes to 4 beautiful lakes for summer fun. 30 minutes to Bear Valley Ski resort in winter. This home does not offer rec center pool privileges. No pets. No smoking. LINENS PROVIDED. The Shire was absolutely beautiful. Spacious and warm and just perfect for our family of 5.